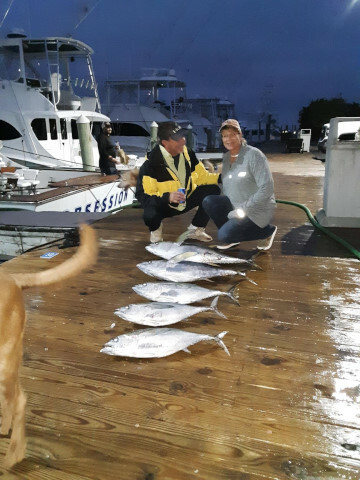 You never know what kind of weather you are going to have in Fall… Some days are definitely better than others, one day it will be sunny, and today was low 50’s with on and off again rain…Our offshore guys went out and caught Black-fin Tuna, Yellow-fin Tuna, 2 Dolphin, and a nice Wahoo…. 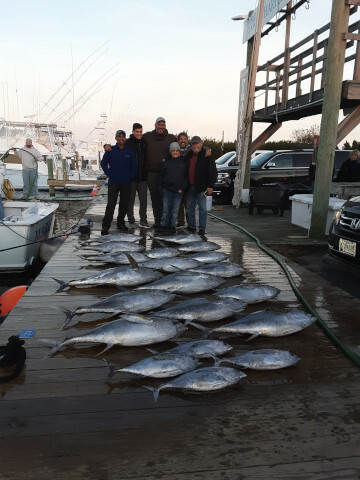 Fall fishing has been great so far, and the best holiday gift is an offshore fishing trip, so want to get in on the action? 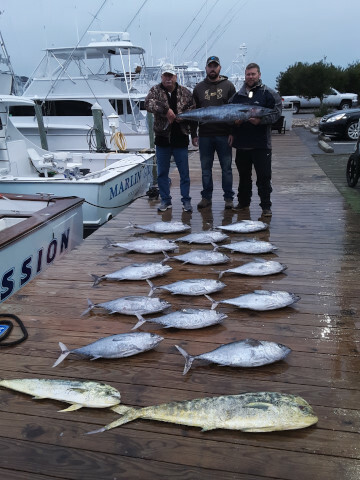 Give us a call at (252) 473-3906 or check us out online at www.fishpiratescove.com… We’d love to help you hook up. !.